Paid search programs are one of the most effective ways to market and sell your product. In contrast to natural search, paid search offers businesses an effective way to promote themselves without having to wait for users. 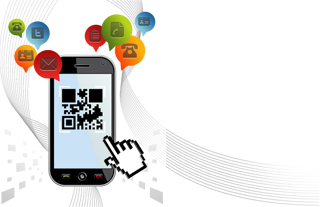 With the advent of mobile web use, the importance of mobile paid search is becoming ever more present. However, there are some key factors to consider when implementing one of these programs, as they should not be treated the same as their desktop counterparts. 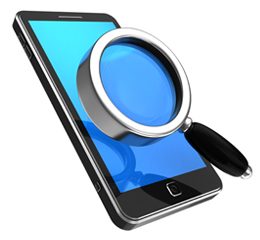 Mobile search is all together a different realm in the market, and should be understood as such. The rules of the game are a little different, and it is this fact that deserves mentioning. Here are some reasons why mobile paid search campaigns are unique, and what steps you can take to ensure yours is successful. People do not search for information on their mobile devices the same way they do when at home. This is because their needs are different; consider this the “out and about mindset.” When performing a search at home, consumers have more time to think about their choices and make decisions. Mobile search is not the time for in-depth research or comparisons. Most users will perform micro searches, or ones that are expected to deliver information quickly for a predetermined purpose. For instance, let’s say you want to get directions to a local restaurant. What do you do? Well, you pull out your smartphone and type in your query. Once you have your result, your search is finished. In this sense, mobile search is often lightning fast, so it is imperative that businesses employ properly gauged paid search campaigns to meet these dynamic needs. A great way to successfully market your product or service is by integrating ad extensions that are relevant to mobile search. For instance, you can provide a click-to-call extension that will input your phone number directly into your customer’s phone. Always remember to write your ad’s content with mobile terminology in mind. Customers like to be told that your platform is compatible with the device they are using, whether it is an iPhone or an Android-powered phone. In addition, you will need to perform keyword research to target terms that are used in the mobile field. Long-tail words that include terms like “location” and “directions” are going to be more relevant and SEO friendly than those that do not. The thing to keep in mind when developing a mobile paid search campaign is that mobile search is an experience of its own. It should be treated as a separate marketing environment, because that’s what it is. Make your ads to the point, but include relevant information and a call to action when at all possible.